This Christmas at the Kentown Wizard Foundation we are delighted to announce our exciting Christmas grants! The first grant goes to our wonderful friends over at Rainbow House. The Mawdesley based charity will use their £10,000 grant to continue supporting 90 families per week. 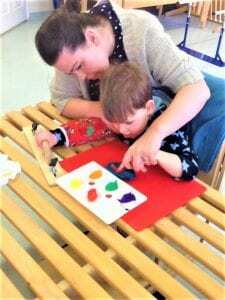 Their specialist service is Conductive Education which is a complex programme using repetitive learning to re-train the brain. 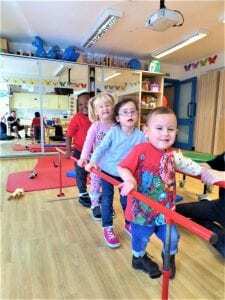 They provide bespoke sessions designed to increase mobility, communication and independence whilst rehabilitating, educating and being fun all at the same time! Other services include physiotherapy, rebound and sensory therapy and multidisciplinary. them to gain the skills they need to live independent lives. 94 children from across the region attend these sessions weekly or twice weekly. The charity will use their £10,000 grant to help cover core costs of running the charity next year. Both these charities work tirelessly to provide families with the help they deserve and here at the Kentown Wizard Foundation we are extremely proud to be able to support them this Christmas.